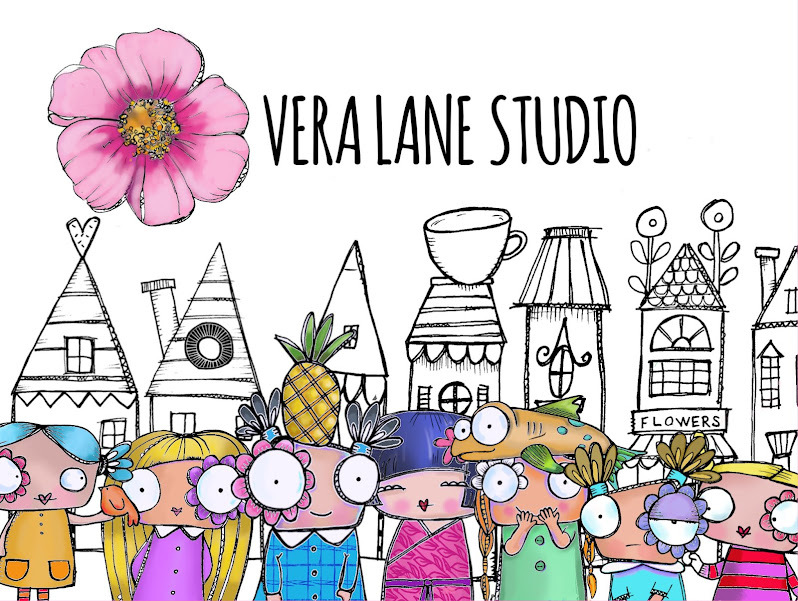 With an overwhelming number of applicants for our first Vera Lane Studio Design Team we are confident this talented group of ladies will inspire you with their weekly makes. 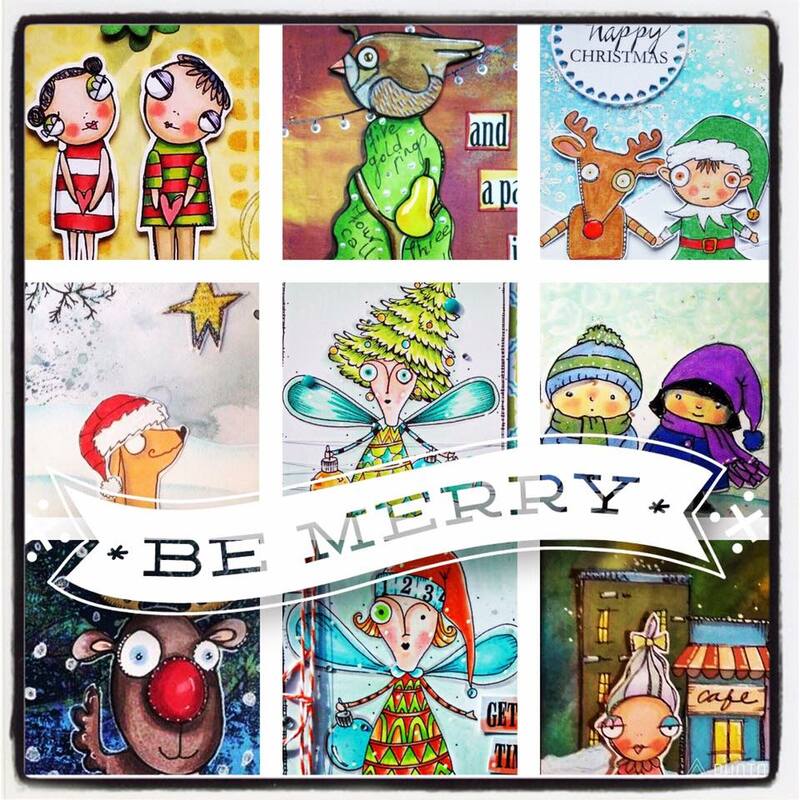 We will be adding guest designers so others will also have an opportunity to showcase their talents using our whimsical and quirky digi stamps. We are a friends community first. Our closed FaceBook group allows a safe haven for sharing and new friendships. Vera Lane is a place to play, a place to get away from daily worries and escape into creativity and inspiration. A special shout out to our Design Team Coordinator Nikki Woodward for her dedication and hard work behind the scenes as well as being and super talented designer! Our VLS Design Team Coordinator has been behind the scenes at Vera Lane for quite some time! Nikki has coordinated for other stamping site challenges but has found her happy place here on Vera Lane (and we are excited to have her park here)! Nikki has been an admin for VLS as well as our crafty cheerleader! She hails from Canada with roots in the UK. 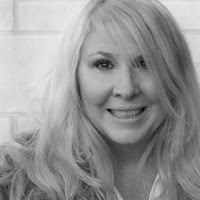 Nikki, is mom to three (handsome) superheroes, a wife and a passionate experimenter of all things arty and crafty. She describes her style as eclectic, having a love for whimsical, quirky and the unusual. Nikki loves mixed media, colour, using different techniques and tools. Her favorite thing to make and trade are artist trading cards, but also make cards and art journal. Nikki tries to approach everything with a positive attitude and a lot of humour, its got to be fun - right? Stephanie is our "Grunge Designer in Residence" here at Vera Lane Studio. Her painterly style and grunge techniques offer a unique look with our VLS characters. Stephanie is currently working as the education coordinator at her local JoAnn Fabric and Craft Store in Jackson TN. She was also a Head Start teacher for 9 years. Stephanie has a passion for teaching and sharing all things art and crafts. Stephanie is a 42 yr old mother of two creative adults and touts that her creativity grounds her and keeps her sane! Look for Stephanie's creations on Instagram. 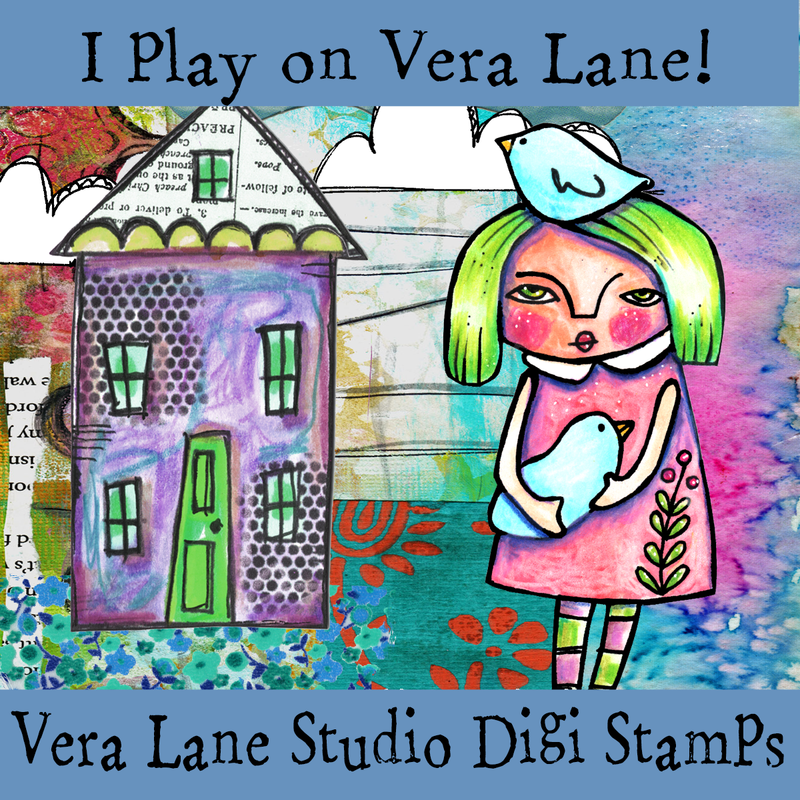 Perhaps you know Teresa from her 100 days of Vera Lane Studio ATCs! What an accomplishment as she inspired many with her endless creativity! 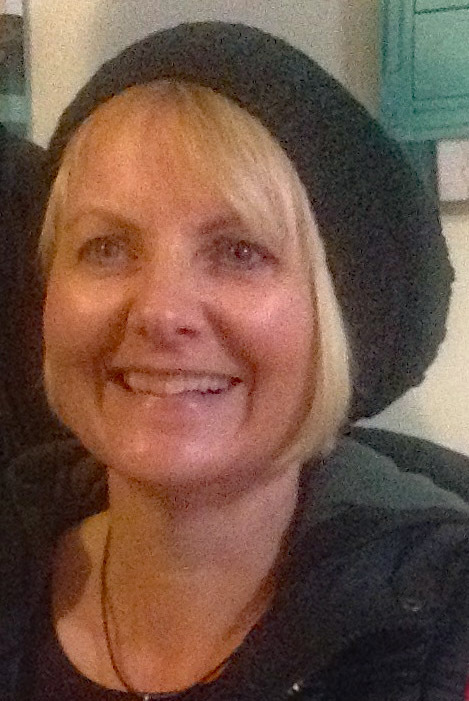 Teresa lives in Staffordshire, England with her partner, daughter, her partner and two cats! Teresa has been crafting in one way or another for most of her life and started card-making around 12 years ago. Teresa decided to start blogging a few years ago, and this led to her invite to couple of design teams. Teresa is an "outside of the box" thinker and has fun trying out new products and techniques. 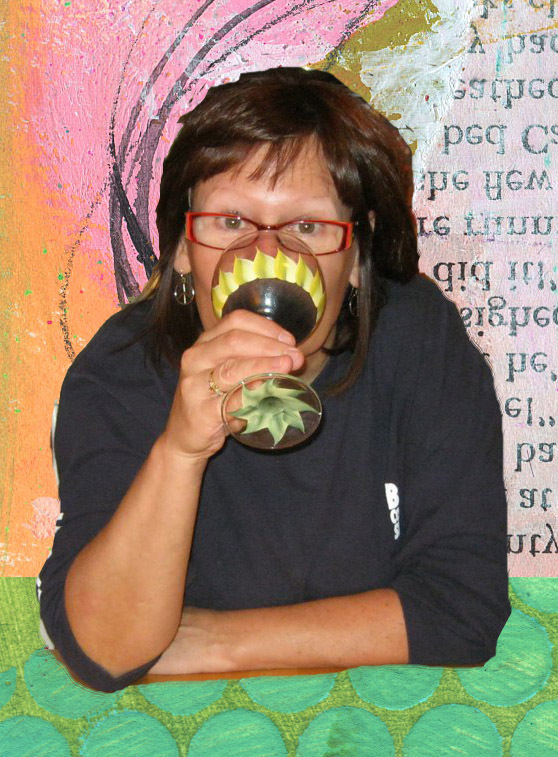 She enjoys altered art, journaling, and mixed media, as well as card making. When not covered in paint and glue, Teresa loves to get outside and enjoy the countryside. She is an avid photographer, always looking for interesting details or beautiful plants to photograph. 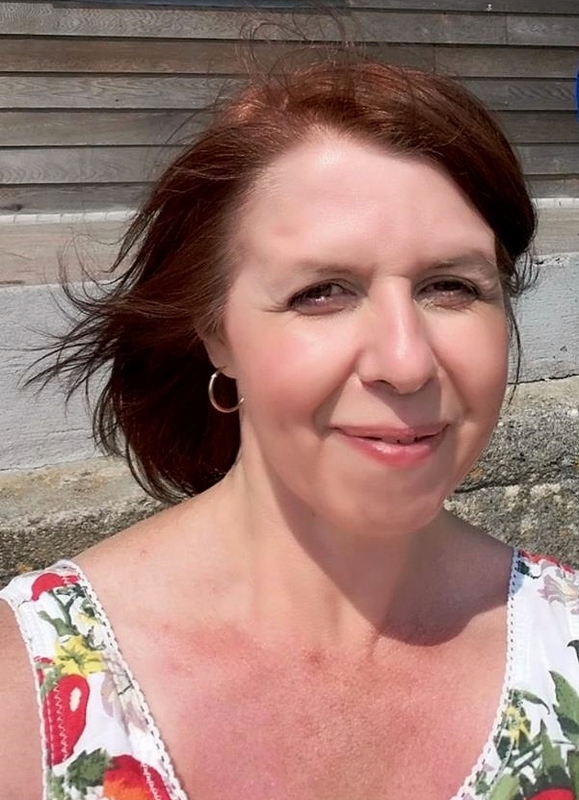 Teresa has made wonderful friends on social media through her crafting, and is looking forward to making some more lovely friendships in this team! 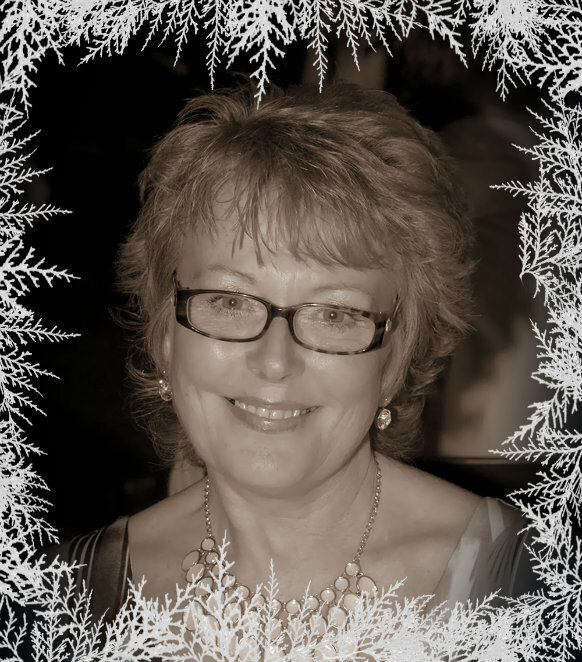 Carole is from the North West of England and lives with her lovely hubby and kitty, Casey. Carole loves all types of arts and crafts and can spend hours in her craft room, losing all track of time. She currently enjoys making cards, tags, ATCs and boxes - in fact anything from paper. 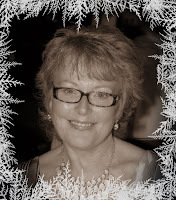 Carole's eclectic taste can range from cute and whimsical to shabby chic and vintage. 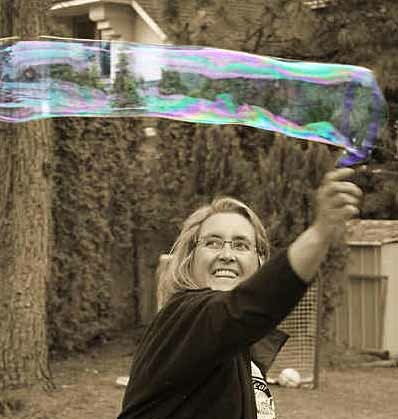 Carole is an avid fan of challenges and we look forward to her challenging you! Sharon Rogers in not new to Vera Lane -- she has been playing on our lane from the very beginning! Active in our FaceBook group Sharon's creations are always inspiring. Sharon has been crafting for at least half of her forty-eight years. From rubber stamping, sewing, papercrafts, ceramics, cross stitch, beading –" LOL you can imagine the “stash” of things I have – can’t bear to throw anything out not even a scrap of paper – never know when it might come in handy!" Don't we know it! Sharon is married with two adult daughters (23 & 19) and two dogs. Sharon works in their own turf Management business as a greenkeeper and drives a truck!! Crafting is Sharon's only hobby and form of relaxation and creativity – She crafts whenever she can – even take digi images to bed to colour before she goes to sleep! Sharon has been on several design teams but now chooses to park her truck here on Vera Lane! And we are thrilled that she is here! Mischelle Smith has been in the papercrafting world for over 20 years. In her ‘old life’ she was the founder of a stamping company that reached stampers worldwide. 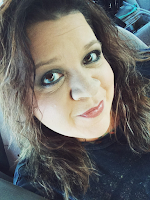 Today, this die-hard stamper has spread her wings into the worlds of mixed media, journaling, scrapbooking and everything she considers ‘Artsy Fabulous’. Over the years Mischelle has been published in many of the industry publications; has been a guest artist on the Carol Duvall show several times; and has made guest artist appearances on Paint, Paper and Crafts. Mischelle lives in the heart of Kansas with her husband, Kevin, and their two kids – Kevin II (Boy) and Sophie. Their American Bulldog, Stella, is not only the glue that holds the family together – she is also the most photographed member of the family. Our intros would not be complete without a special shout out to Jane Wetzel. 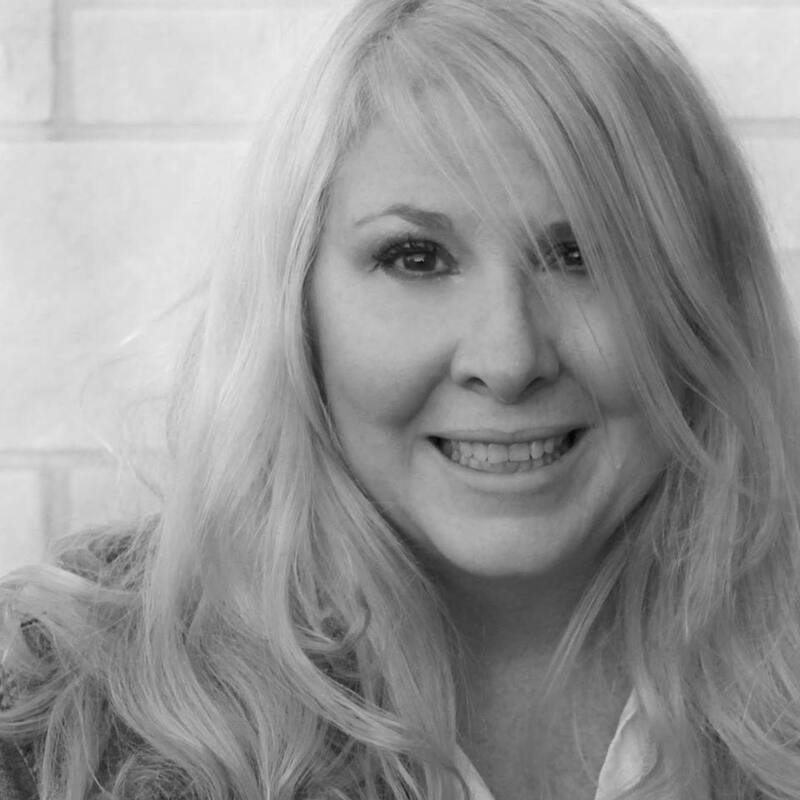 Jane is no stranger to design teams but like a true artist does not conform. Jane has been playing on Vera Lane for a while with her creative and unique art pieces offering a little something different and whimsical. Jane is a true mixed media artist, whether she is using home-made stencils or creating small canvases or wooded boards her creations are truly inspirational. Don't look for Jane on any given day -- she's our pop-up designer, you just never know when the VLS mood strikes her! Welcome all design team members! We are looing forward to your creativity and sharing. Please leave a comment and a chance to win a set from our shop! The Tiny Snow Family is our last set to be released in 2016! This is a sweet little quirky snow family with SnowMom, SnowDad, snowboy and snowdog! Two cute sentiments complete the set. Our set will come to you in both png and jpg high quality resolution files without watermarks. Your immediate download from our Etsy Shop can be saved to your computer for personal used. These little guys can be used for cards, tags, planners, journals and holiday giving bookmarks! No coupons needed as our sets are always bundled, always discount priced! 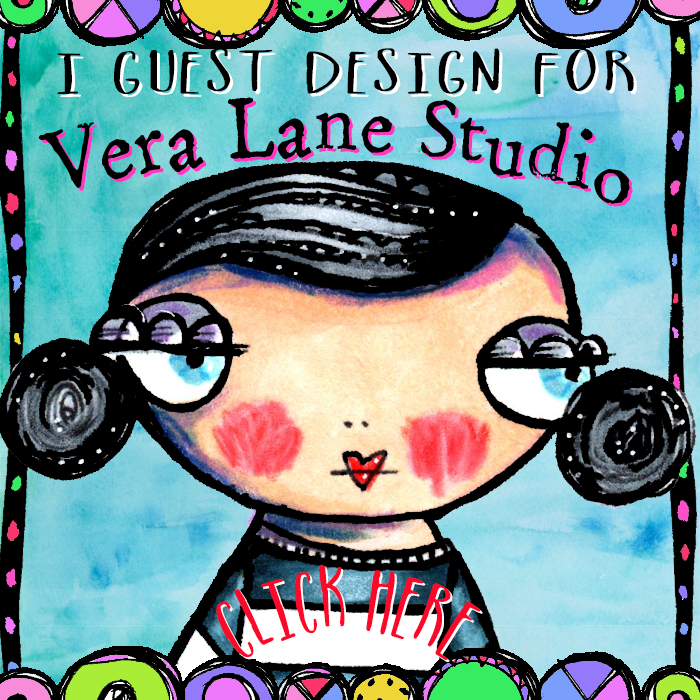 If you are new to Vera Lane Studio please stop by our shop! 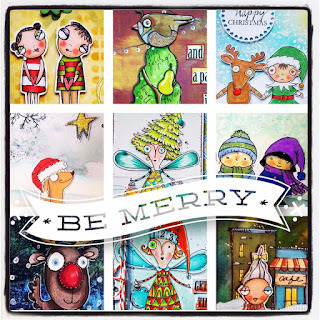 So many beautiful Christmas cards are already in our album on our FaceBook page! Thanks to those of you who have already uploaded. Here is just a collage of some of the fabulous entries using Vera Lane Studio images. You have until Sunday evening, December 4, 2016 to share for the swap.